Crusty old Peavey MX VTX. Combination of tube and solid state. 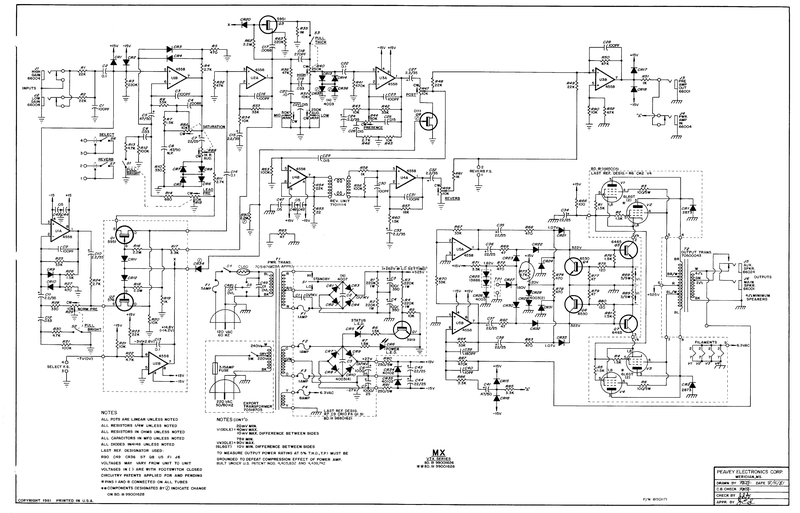 Has four 6L6GCs for output and can do 100W but the preamp is all opamps. 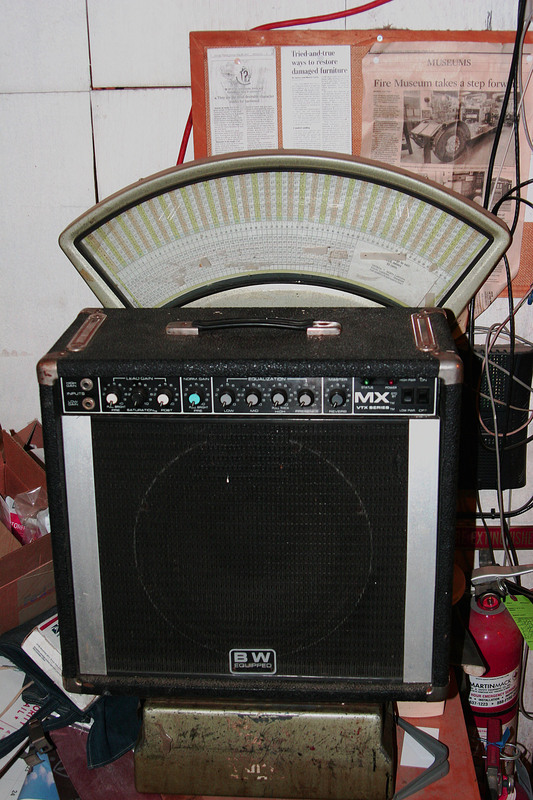 This amp is similar to Musicman 2100-RD with opamp preamp, transistor phase inverter, and tube output section. Kind of an interesting design because they use a power section that is a grounded grid style. 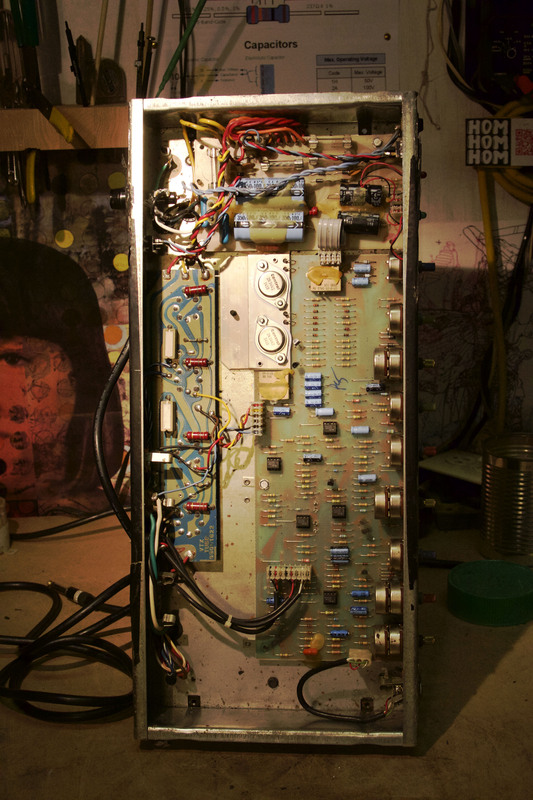 The two 2N3442 transistors that are heat sinked to the chassis drive the power tubes at the cathode. Has to be one of the heaviest 1×12 combos of all time. This scale only goes to 70 pounds and it’s maxed. Don’t be fooled that it only reads 68 pounds, thats just as far as the needle goes. It has a low power mode that cuts the plate voltage in half in case you want to crank it down a little bit.